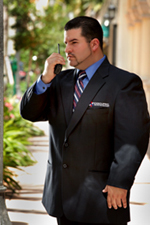 Shortly after the tragedy of 9-11-2001 and recognizing that previous protective measure were taken for granted and the inability of security providers at the time to meet the new challenges and expectations of our industry, created the demand for professional security providers; which led to the creation of Execupro Protective Services. Since our commencement we have steadily built a reputation for quality service and professionalism that consistently afford our clients effective and sensible security and investigative solutions. Copyright © 2010 Execupro. All rights reserved.